This landmark anthology features the work of acclaimed twentieth-century poets Gwendolyn Brooks, Etheridge Knight, Audre Lorde, Haki Madhubuti, Dudley Randall, and Sonia Sanchez. Introducing each author’s collection of poems are essays that present the political, cultural, and aesthetic contexts of each poet’s contributions to the Black Arts and Black consciousness movements. In her introduction to A Different Image, Dr. Gloria House, poet and scholar, writes that although Brooks, Knight, Lorde, Madhubuti, Randall, and Sanchez came to prominence in the 1960s and 1970s, ". . . the issues that preoccupied them are still pertinent to our communities today, and their writings continue to enjoy worldwide demand. They articulated the deepest longings of their people—to express their African identity, and to assume their place in history. Moreover, they demonstrated a quality of craftsmanship that would set new literary standards. While improvising on traditional literary forms, they also initiated unique uses of English to render it truer to African American speech patterns and rhythms, an intimation of the affirmation that Black English would garner years later." A Different Image casts a new light on this exceedingly valuable literary tradition, and articulates the connections between the poetry of the Black consciousness era and today’s flourishing performance poetry movement. It will acquaint contemporary poets and students with the literary gold mine of their Broadside predecessors. 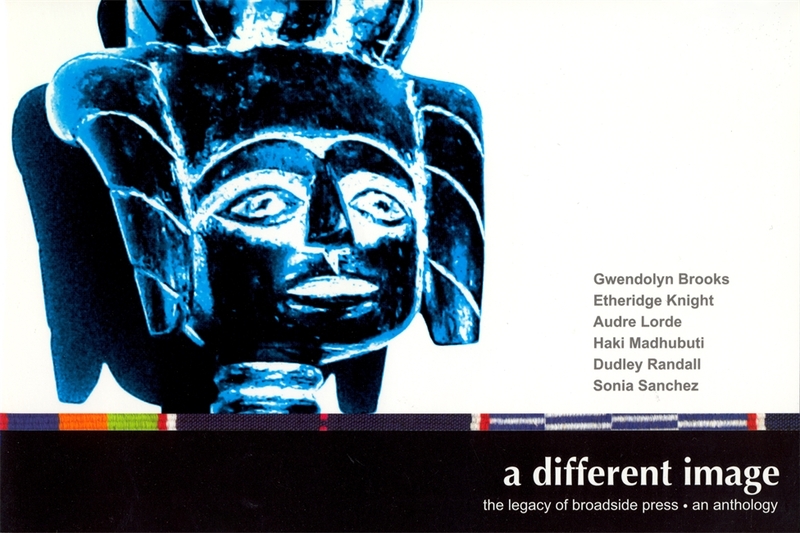 A CD featuring selected readings from each poet's work accompanies the text. Gloria House is a Broadside poet and professor at Wayne State University and University of Michigan-Dearborn. Rosemary Weatherston is assistant professor of English at the University of Detroit Mercy and director of the Dudley Randall Center for Print Culture. Albert M. Ward is a Broadside poet and a writer-in-residence at the University of Detroit Mercy.